IT'S been the same old story for Celtic – hot at home and cold in Europe. At least they've turned up the temperature ahead of a visit from RB Leipzig and Brendan Rodgers's men have a bit of hope. Ahead of the meeting in Germany I confidently tipped Leipzig at -1 and they cruised to victory. 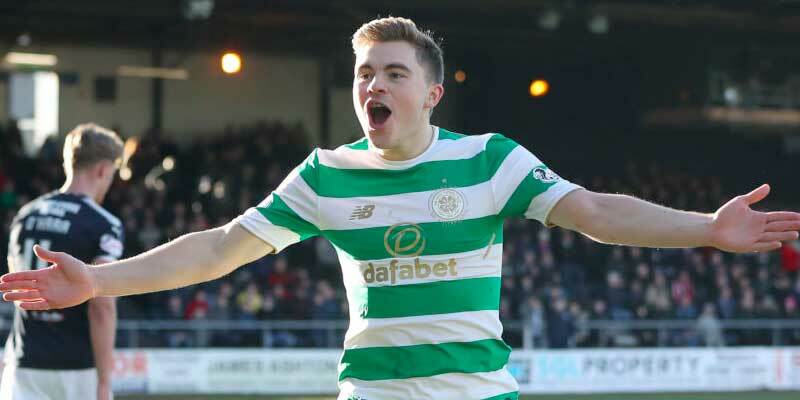 Since then Celtic have netted 13 in three games and played their best football of the season while RB continue to keep clean sheets – that's six in a row and the last time they conceded was at Rosenborg. The Germans though are weakened by the absence of striker Emil Forsberg while Jean-Kevin Agustin is doubtful. If Celtic can cut out mistakes at the back – and Filip Benkovic should help there – they could pick up a point in a score draw that pays 6-1 at bet365. RB are favourites to win at 19-20 with William Hill and I can see why. Celtic are as big as 3-1 at Betfred while a draw pays 11-4 with Sky Bet. Despite the Germans' stingy defence Celtic have shown enough up front recently to believe they can score and are 2-5 to do so and 2-1 at bet365 to net 2+. Callum McGregor has been in brilliant form since Scott Brown dropped out injured and likes a big goal. He is 6-1 at Paddy Power to net. Rangers have been better than Celtic in Europe (11 undefeated) but not as good on the domestic front in recent weeks. Steven Gerrard takes his side to a Spartak Moscow club that seems in crisis -on and off the field – and should be able to take advantage by at least drawing but have been hit with a blow as Ryan Kent has a hamstring injury and will be out for a few weeks. Rangers are a biggest 5-2 at McBookie and for less risk try draw no bet at 31-20 with Paddy Power. Alfredo Morelos is 7-1 to score first while James Tavernier could be worth at look at any time at 6-1 with bet365. Chelsea beat BATE at home thanks to a Ruben Loftus-Cheek hat-trick and should stroll to victory in the return in Belarus. They have a 100 per cent record and victory will qualify them with two games to spare. The Blues are no bigger than 3-8 with Betway so consider them -1 at 21-20 with Betfred. Loftus-Cheek is 4-1 at Unibet to net again. Arsenal are also short at 3-10 with Ladbrokes and others as they welcome Sporting. The Gunners are unbeaten in 14, with 12 wins, and should take care of the Portuguese. Not sure how strong Arsenal will go but best bet could be over 2.5 goals at 33-50 with Marathonbet.